Retirement planning is an important part of your long-term financial health. However, as you try to estimate your retirement needs, it makes sense to also remember the health care portion of the equation. Many Americans are worried about health care costs during retirement, but, as a recent Fidelity survey indicates, they may not be worried nearly enough. How Much Will You Spend on Health Care During Retirement? According to the Fidelity study, 84 percent of Americans are worried about their retirement health care costs. However, part of the worry is misplaced. Those aged 55 to 64 think that they will need about $50,000 during retirement — when the average couple is expected to spend more than $220,000 during retirement. Of course, how much you end up spending during retirement depends a great deal on how healthy you are, and how long you live. The longer you live in poor health, the higher your costs are likely to be. If you take care of your health your entire life, you are less likely to need to spend as much on health care costs. However, even the healthiest will eventually need more health care services, and it’s important to take this into account when planning for retirement. 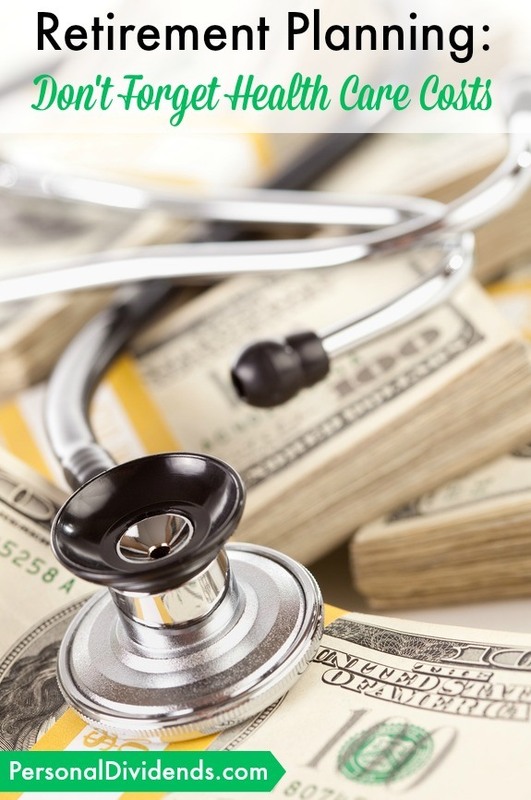 According to Fidelity, someone with an income of $80,000 prior to retirement, who is in poor health, might need 96 percent of his or her income to pay for health care costs on top of other costs. Forget about the old rule of thumb that encourage you to estimate your retirement income needs at 70 to 80 percent of your pre-retirement income. One of the most obvious solutions to this issue is to set aside more for retirement. If you are younger, you can boost your retirement contributions so that you have more time for compound interest to work in your favor. However, you might also consider some other steps. If you are relatively healthy, you might be able to use a Health Savings Account to your advantage. You can get a high deductible plan with a low premium, and sock the money away in an account that comes with tax advantages. You get a tax deduction for your contributions, and if you use the money on health care costs, it grows tax-free. You could use this as another way to grow your money tax-efficiently over time, and then use the funds to help pay for health care costs. Others find that long-term care insurance can be helpful. An elderly relative recently passed away, and her family didn’t have to worry about costs because the long-term care insurance paid for her to stay in a comfortable nursing home. The right policy can offer peace of mind, and ensure that you have a place to be cared for. As you begin your retirement planning, it makes sense to think through your options and make it point to consult with a professional who can help you determine which approach is right for you. But whatever you decide, it’s important not to underestimate your health care costs in retirement.